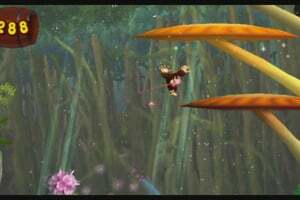 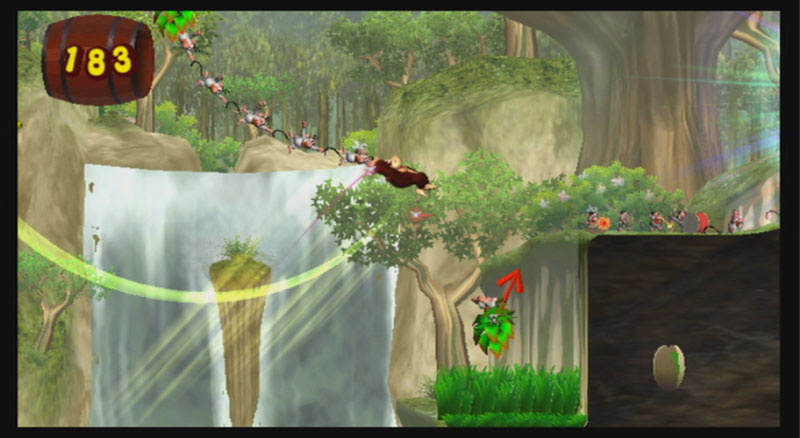 As Donkey Kong, players brave a jungle adventure by swinging, soaring, swimming and using acrobatic moves. 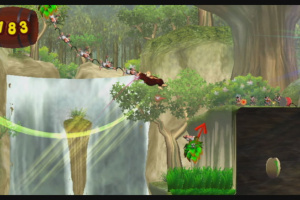 But the goal isn't to run through levels as quickly as possible – the real skill lies in stringing moves together to travel like a daredevil, touching the ground as little as possible. 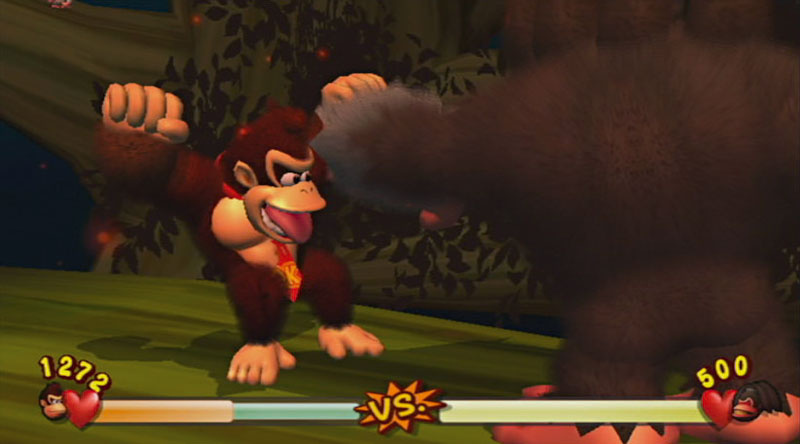 Game storyline: Donkey Kong sets out to prove he's king of the jungle and beyond. 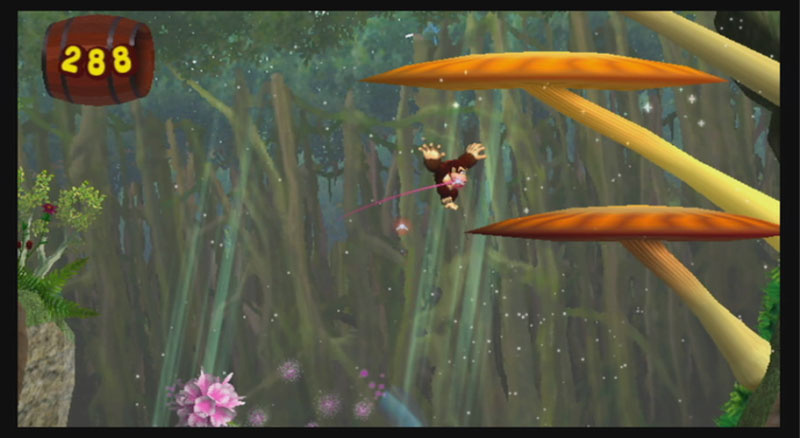 He rampages through lava caves, savage seas and crazy locales like a ninja-chimp fortress. 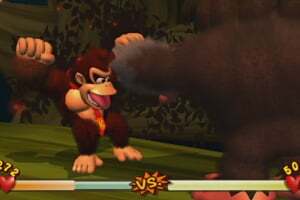 Only when Donkey Kong defeats all the kings of his world – by boxing with apes, rabid warthogs, ballistic elephants and giant birds – can he call himself king. 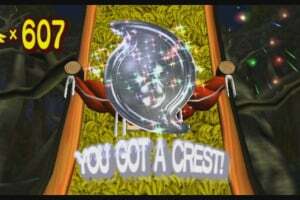 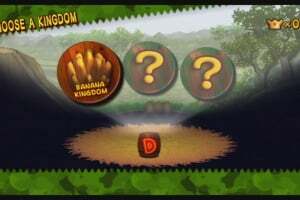 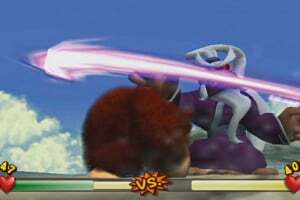 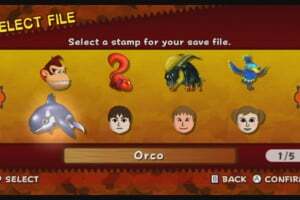 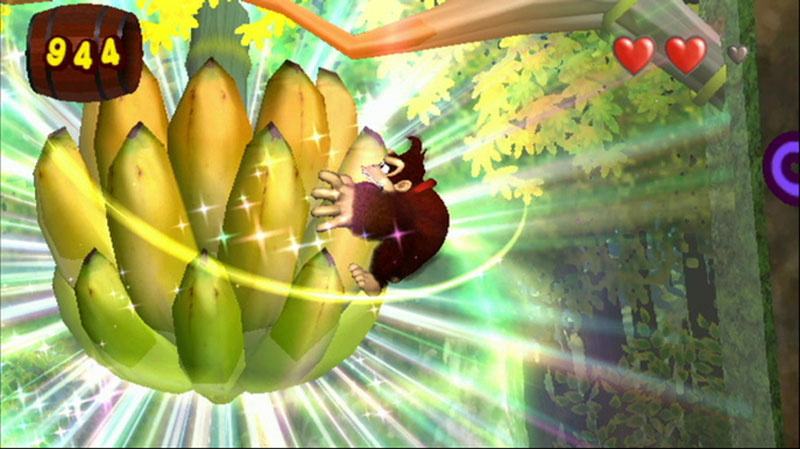 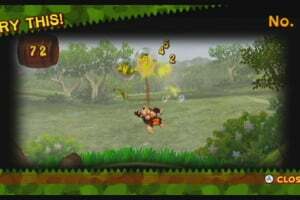 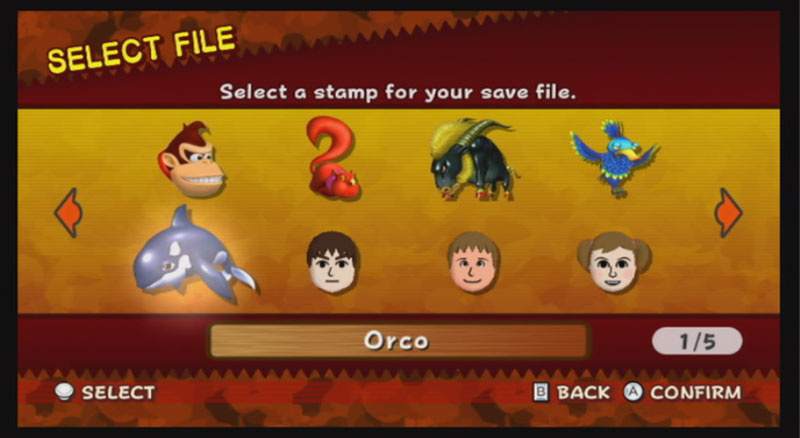 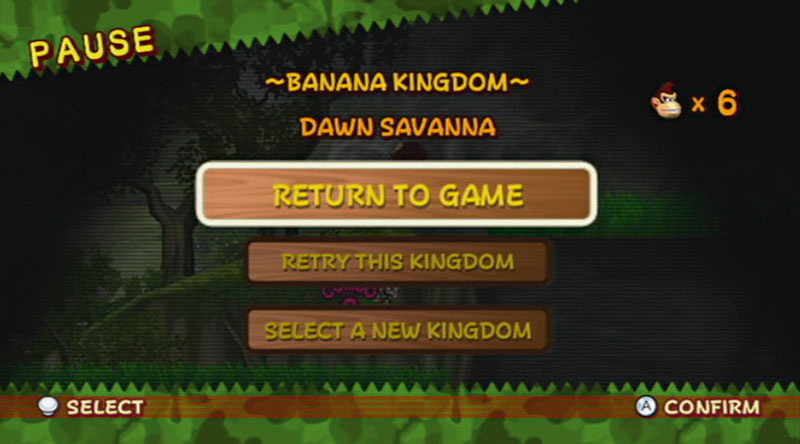 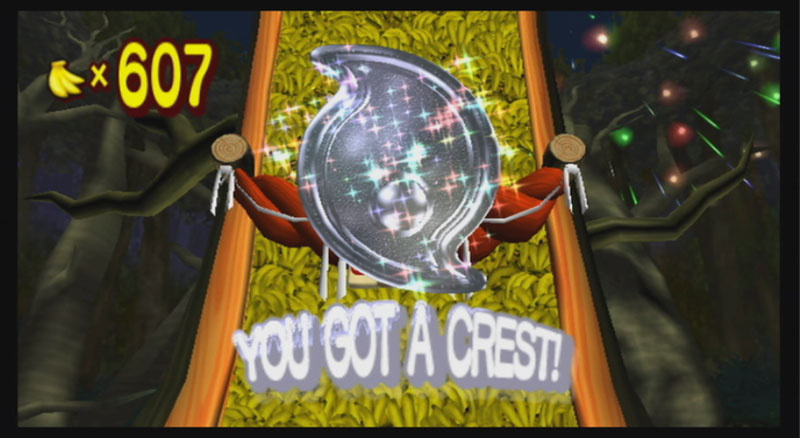 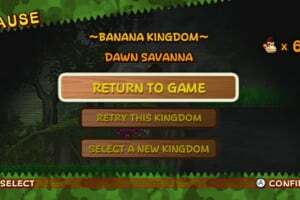 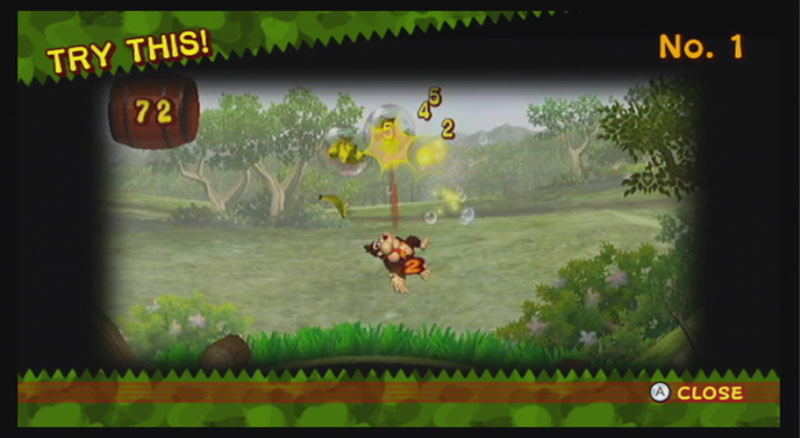 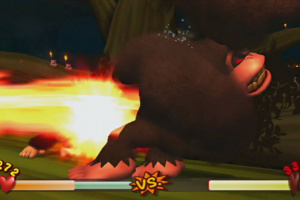 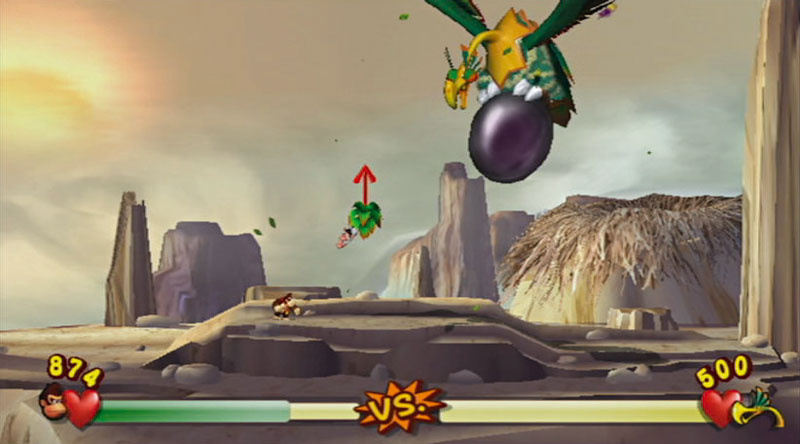 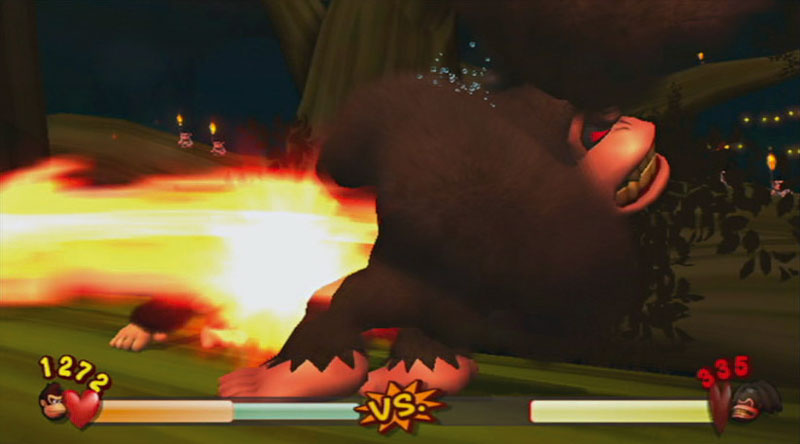 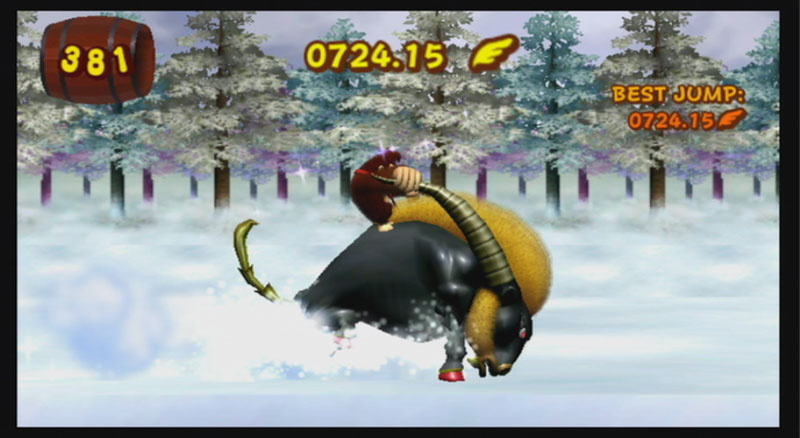 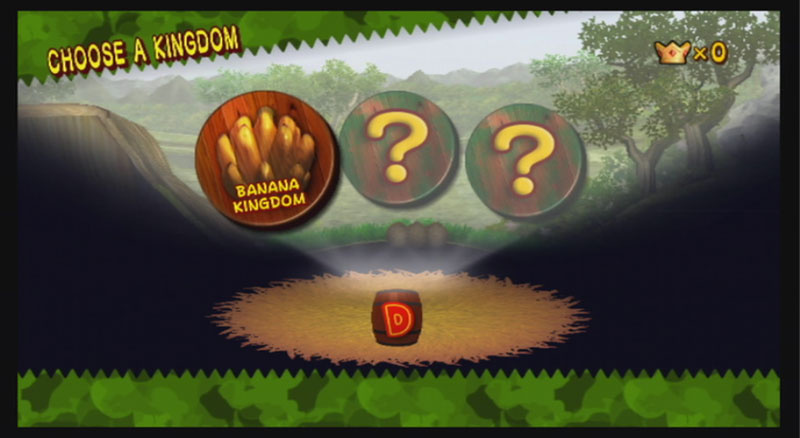 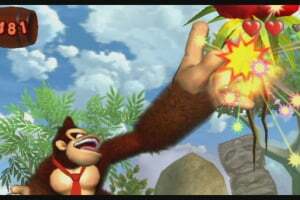 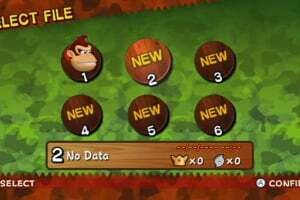 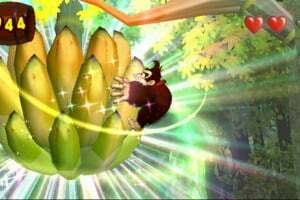 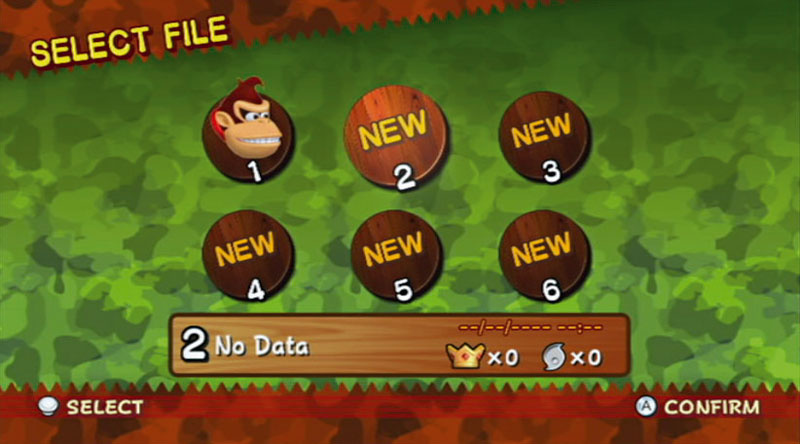 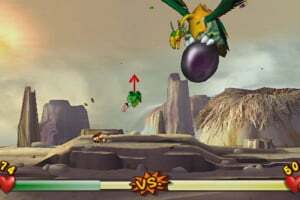 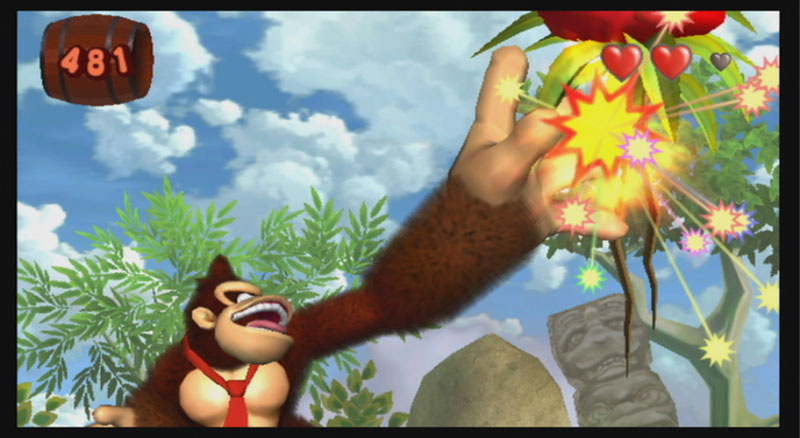 Special powers/weapons/moves/features: Players control Donkey Kong's running, jumping and banana grabbing by using the control stick and buttons. 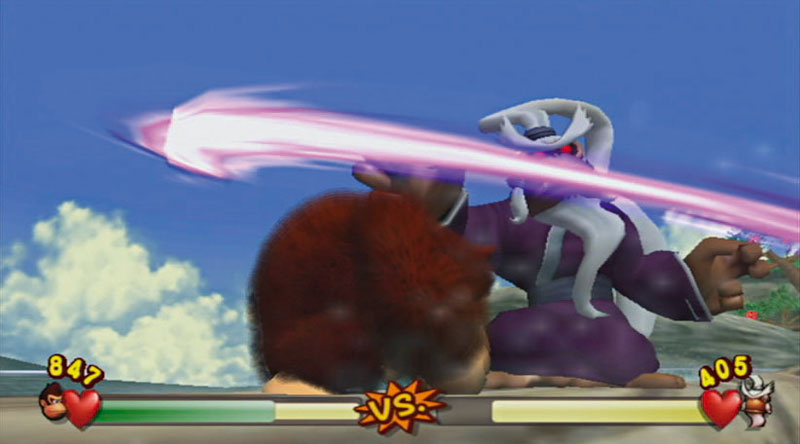 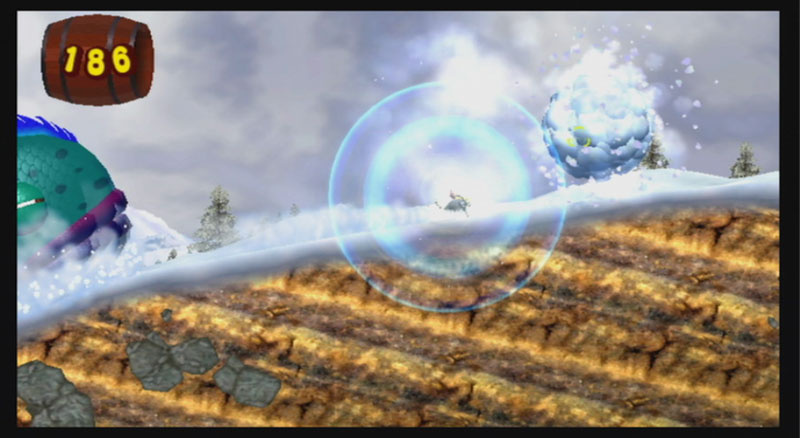 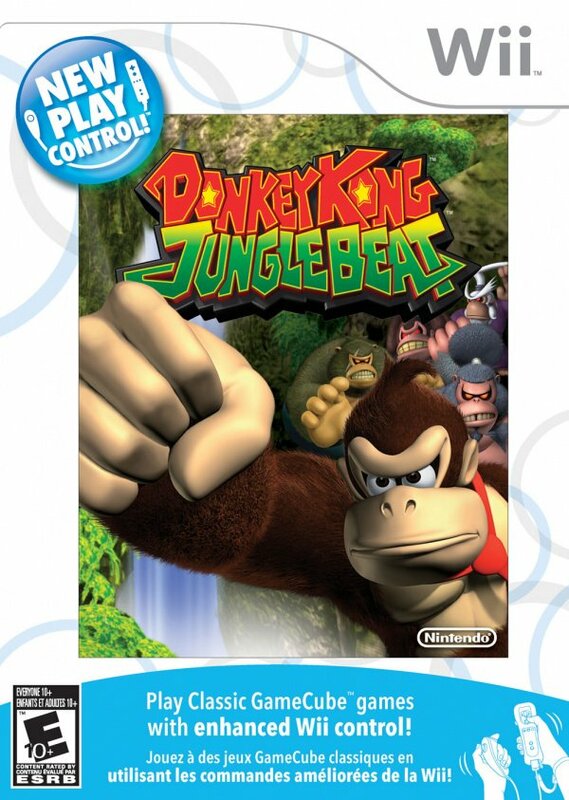 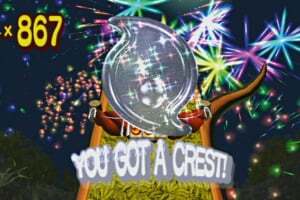 Motion controls turn a player's hands into Donkey Kong's hands – moving the Wii Remote and Nunchuk gives the realistic feeling of grabbing vines, boxing or unleashing a powerful sound-wave clap. 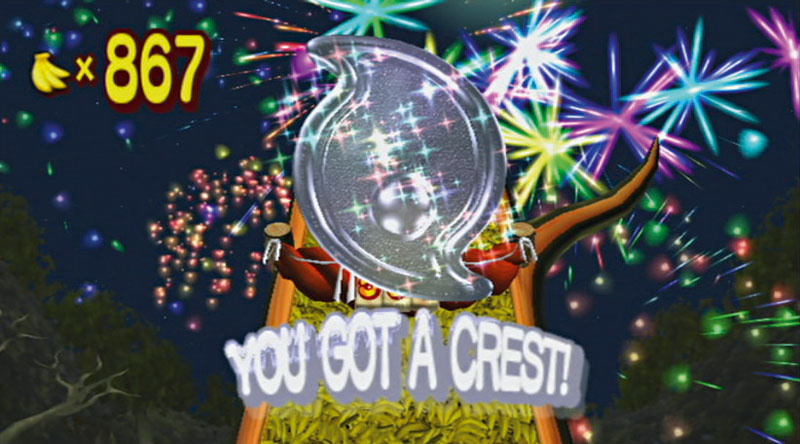 The day this game comes out is the day its my Dad's 52nd birthday; & its also Lance Bass' birthday! 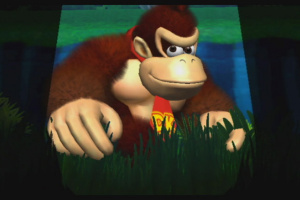 I wounder if it will be anygood without the bongos. 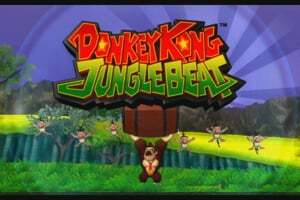 I'm very happy this game came out today; it'll be on my list of games to get when I save up money for it! 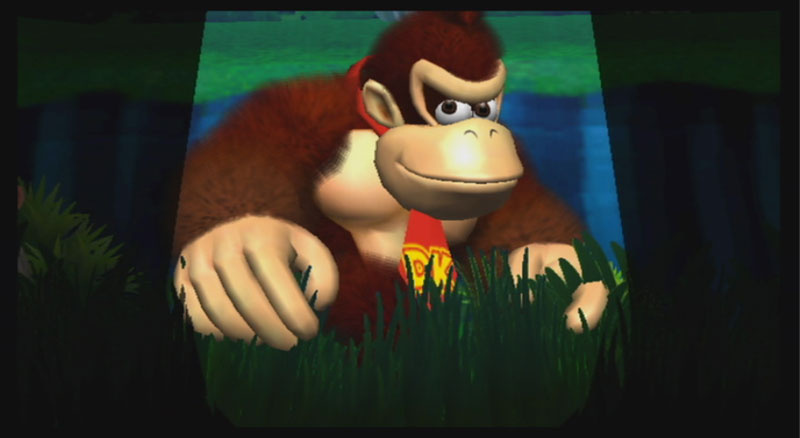 Also today is actually for reals my dad's 52nd birthday! 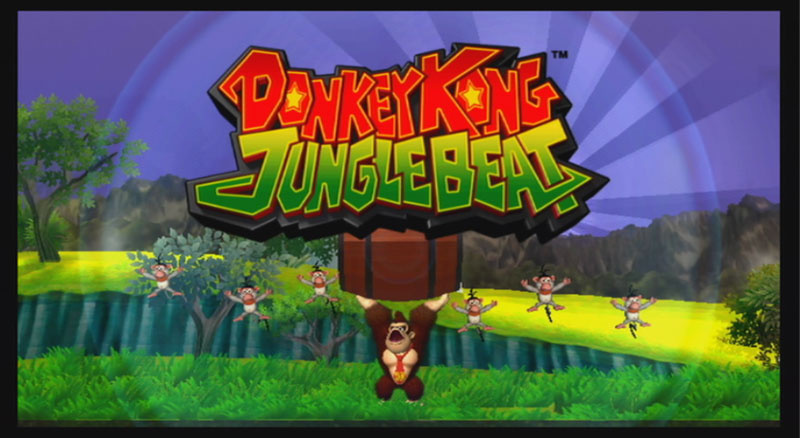 Also hope for the review for this game to be up sometime soon; hope its a good one! 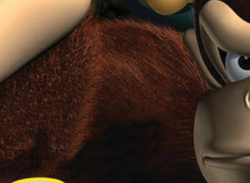 Ebgames says it comes out on the 18th of June in Australia. I picked it up recently like last month...really great port for the Wii.